As part of the Digital Kitchen installation at the new LAX Bradley International Terminal, I concepted and created digital sculptures inspired by the riveted skin of early aircraft. Of the digital projects i've worked on, this is perhaps one of my favorites. The opportunity to put advertising, commercials, and politics aside and concentrate solely on art for art's sake is rare. 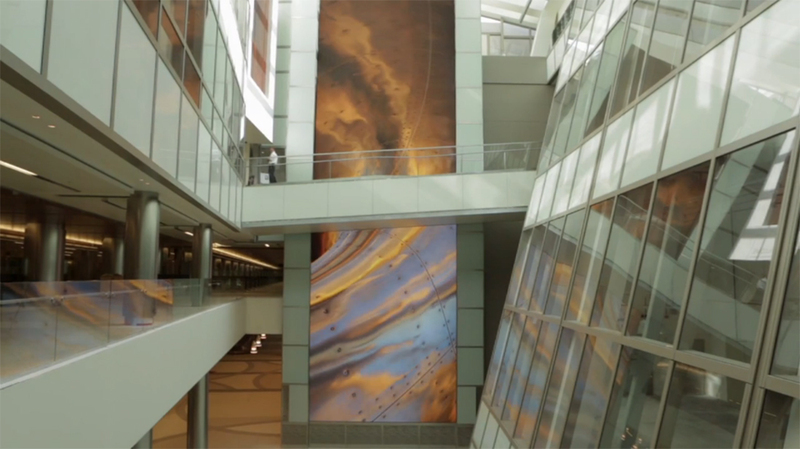 From day one I was a part of the concept and design phase of the project, given ample time to brainstorm and create abstract digital ideas that would be displayed on numerous screens up to 70 feet in height. I ultimately landed on a concept dubbed "Aviation Skins." 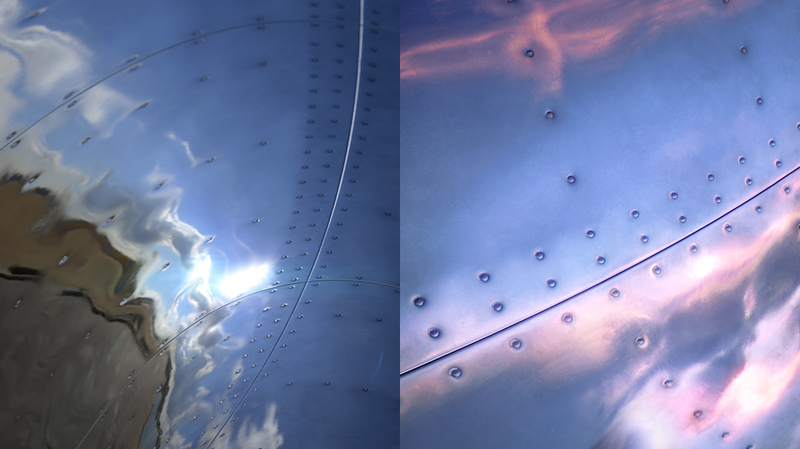 Referencing the riveted metallic hulls of early aircraft, these massive chrome sculptures reflect timelapsed sunsets and landscapes. 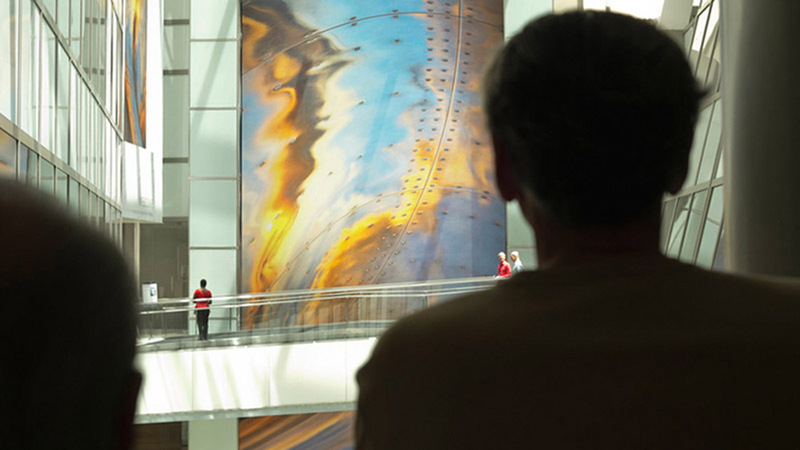 Created in 3D, three variations were created for the space, one for each time of day: dawn, day, and dusk.